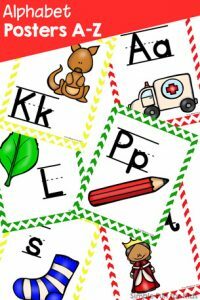 After going through a phase where E was all about math and spelling/reading while she did very little writing, she’s recently become interested in writing words again, particularly names. She’s asked me to write down all of her teachers’ names, the names of family members and a few close friends, and copied them repeatedly. 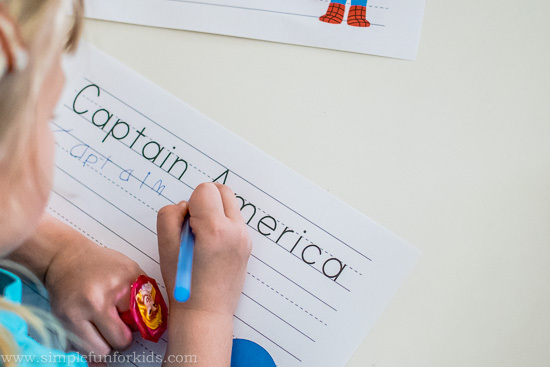 One night last week, out of the blue, she asked me to write down superhero names for her. She was very specific: She wanted Superman, Spider-Man, Captain America, Batman, and Ironman 🙂 And she wanted pictures! 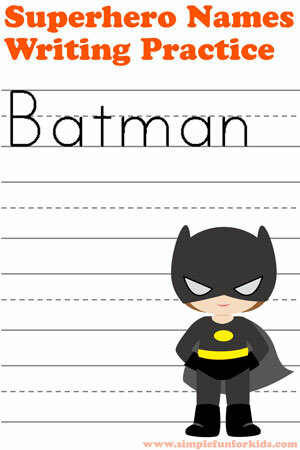 So what’s a mom who loves making printables to do? 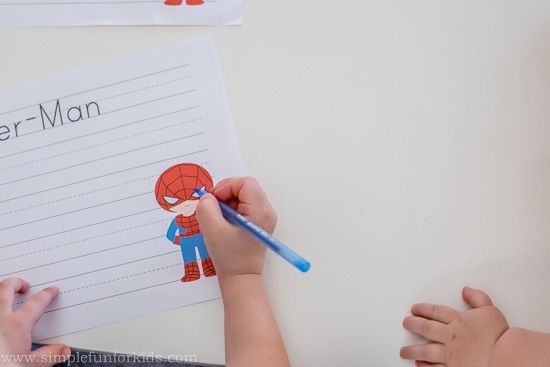 Make a Superhero Names Writing Practice printable, of course! I included the five superheroes E requested. For each one, there’s a page of writing lines, with the name of the superhero on the first set of lines. 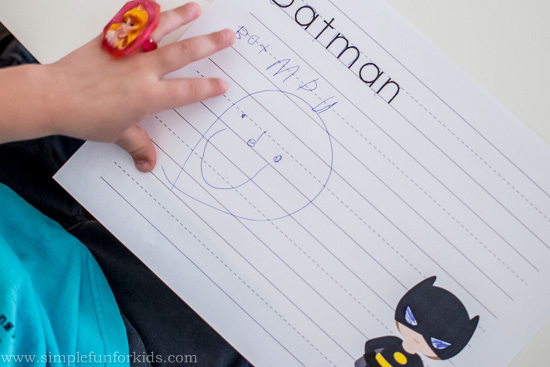 For fun, a super cute rendition of that same superhero is guarding the lower right corner of each page. 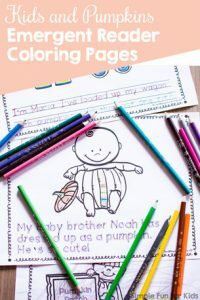 While this is “officially” a writing practice printable, I’m sure your kids can come up with other uses, too! E decided to color, trace, and draw on the printable in between copying the names. Have a superhero fan who’d like this? 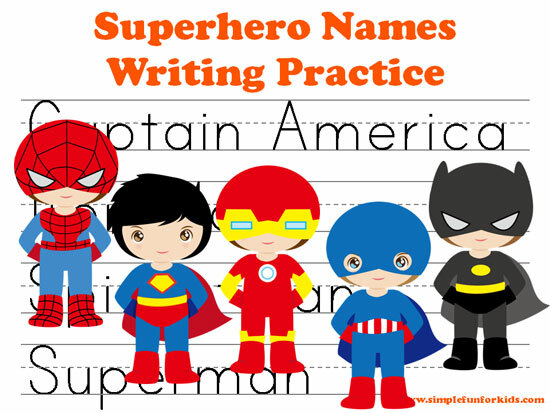 Download your Superhero Names Writing Practice printable! 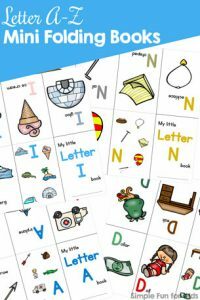 Looking for other literacy printables?